DelveInsight, the leading market research and consulting company has added new report LAG-3 Antagonists, TIM-3 Antagonists & OX40 Agonists – Pipeline Insights, 2015 to its portfolio. DelveInsight has made strong presence in Oncology market with 100+ Reports on Oncology based Indications & Mechanism of Action (MOA).With this launch DelveInsight now has 700+ Reports on Indication Pipeline Insight. In addition to this our research expertise provides our clients with up to date information of market “till the date of order”. Immunotherapy target discovery remains one of the biggest challenges facing the field. The evaluation of this new Immune Checkpoint Target represents an opportunity to improve immune-based cancer therapies. Some of the companies are discovering and developing novel antibodies to target lymphocyte activation gene-3 (LAG-3) Antagonists, T cell immunoglobulin and mucin domain-3 (TIM-3) Antagonists and OX40 Agonists. This Indication pipeline Insight Report provides client with details on LAG-3 Antagonists, TIM-3 Antagonists & OX40 Agonists drugs across the globe. Prima BioMed is developing a lead LAG-3 pathway based product which is IMP321 Phase II. Tesaro collaborated with Engot for developing Anti-TIM-3 Antibody is in preclinical Phase. Roche/Genetech focused on development of OX40 agonist based product MOXR0916 is in Phase 1 with Xenova. The report imparts information of 30+ products with 20+ different technologies along with 25+ active company names. DelveInsight’s LAG-3 Antagonists, TIM-3 Antagonists & OX40 Agonists reports will help companies to optimize their portfolio by analyzing the market and creating effective counter-strategies for collaborations and licensing deals. Apart from this the report on LAG-3 Antagonists, TIM-3 Antagonists & OX40 Agonists – Pipeline Insights will provide the technologies in use that will allow the Pharma manufacturers to attain high production at competitive pricing. In addition, reports will assuage companies to detect specific tumors, determine genetic predisposition and biological response to cancer therapy. This entry was posted in Uncategorized and tagged DelveInsight, Engot, Immune Checkpoint Target, Immunotherapy, IMP321 Phase II, LAG-3 Antagonists, MOXR0916, OX40 Agonists, Prima BioMed, Roche/Genetech, Tesaro, TIM-3 Antagonists, Xenova. Cardiovascular disease is the leading cause of mortality worldwide due to increased level of Low Density Lipoprotein, cholesterol, which is a major modifiable risk factor. One of the risk factors is atherosclerosis caused when high levels of LDL-C in the blood build up in the inner walls of arteries, thickening them and provoking an inflammatory response, it can lead to heart attack or stroke. Rising of LDL-C are often a surrogate marker for the risk of having a cardiovascular event. Statins are in the market for almost 30 years. They are the first-line drugs for lowering cholesterol and cardiovascular events. They’ve been shown to prevent repeat heart attacks in people who have already had one and first heart attacks in a wide range of at-risk individuals. They lower LDL-C levels by inhibiting the enzyme HMG-CoA reductase, which has a vital role in the production of cholesterol in the liver. Statins typically reduce LDL-C levels by 30 to 40% and are directly associated with reducing the risk of heart attack and stroke. However, not all patients receiving statins achieve guideline-recommended low density lipoprotein (LDL) cholesterol goals, particularly those at high risk. There remains, therefore, an unmet medical need to develop additional well-tolerated and effective agents to lower LDL cholesterol levels. The discovery of proprotein convertase subtilisin/kexin type 9 (PCSK9), a secretory protein that posttranscriptional regulates levels of low density lipoprotein receptor (LDLR) by inducing its degradation, has opened a new era of pharmacological modulation of cholesterol homeostasis. 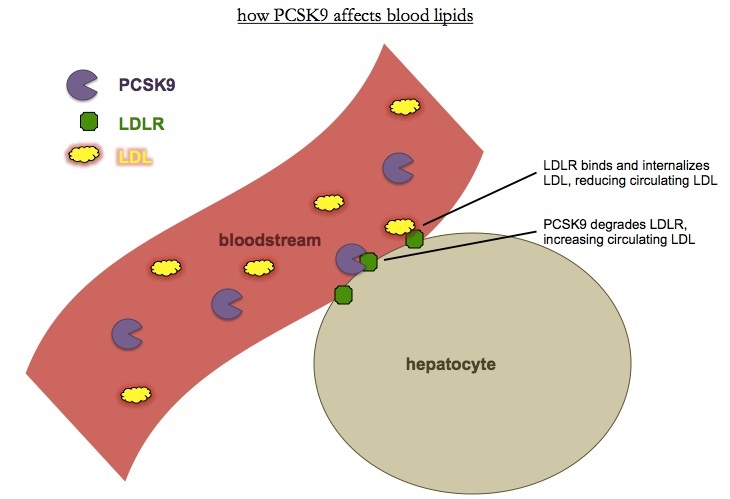 PCSK9 is therefore a novel target for lipid-lowering therapy. Inhibition of PCSK9 acts synergistically with existing treatments such as statins. PCSK9 is a crucial protein in LDL cholesterol (LDL-C) metabolism, by virtue of its pivotal role in the degradation of the LDL receptor. The discovery of the PCSK9 inhibitors and its role in LDL metabolism provides a clear example of the power of modern techniques in genetics and genomics and the current rapidity of translational science. Basic science data on the biology of PCSK9 made it clear that PCSK9 possesses many desirable attributes of a potential drug target. Statins work indirectly to increase LDL receptors via inhibition of cholesterol synthesis, a process that occurs in all tissues and the consequences of which may help explain the 5% to 20% rate of statin intolerance. In this way, fewer off-target effects could favorably distinguish PCSK9 inhibitors from statins. A second desirable trait is afore knowledge that inhibition or loss of function of the target is likely to have the desired effect and be safe in humans. Several mechanisms of drug action for the inhibition of PCSK9 have been proposed. Specific antibodies against PCSK9 appear to be a promising drug development modality. According to recently published market report in FierceBiotech, the PCSK9 market could be worth $10 billion a year. Even recent worries from the FDA about potential neurocognitive side effects, which initially hit Regeneron and Sanofi shares hard, have eased, at least for now. No severe or life-threatening adverse events have been attributed to the PCSK9 inhibitors. Common side effects include injection site reactions, and cold and flu-like symptoms. However, Amgen and Regeneron/Sanofi are assessing potential neurocognitive side effects, such as memory loss and confusion. And Kastelein says it is possible that the body’s own antibodies to the monoclonal antibody treatments could cause rare problems over the long term something that will emerge through continued surveillance once the treatments reach market. Statins have become the cornerstone of dyslipidemia management over the past 30 years. However, there are still two major unfilled gaps with statin use. Some patients, especially patients with Familial Hypercholesterolemia (FH), fail to achieve their LDL-C target at the maximally tolerated dose of statin, even when combined with other medications. Residual cardiovascular risk remains even with LDL-C levels < 70 mg/dL. So the development of the PCSK9 inhibitors could be an advantageous treatment strategy to fill these gaps. PCSK9 inhibitors are expected to work synergistically with statins. The increased level of PCSK9 reduces the effect of statins by enhancing the degradation of LDL receptors. This finding suggests that the combination of a statin with a drug inhibiting PCSK9 activity could achieve a greater LDL-C reduction than statin alone. There are 25+ pipeline drugs with 17+ companies actively involved in drug development. There is 1 drug in phase III, 2 in phase II, 6 in phase I, 8 in pre-clinical and 3 in discovery. Amgen was the first to seek regulatory approval for a PCSK9 inhibitor with its application to the US Food and Drug Administration (FDA) and European Medicines Agency (EMA) for Evolocumab in August and September 2014, respectively. But Regeneron/Sanofi could yet beat Amgen to it. The marketing authorization application for Alirocumab was accepted by the EMA and FDA in January 2015, but the FDA has agreed to speed up the process by selecting it for priority review, aiming for a six-month turnaround. Hot on their heels is Pfizer, whose PCSK9 inhibitor Bococizumab (RN316) is currently in phase III trials. From the data currently available, it is conceivable to conclude that, due to its function as a regulator of LDLR protein expression in the liver, PCSK9 represents the most promising pharmacological target for the new era of treatment of cardiovascular diseases. An important effort has been made in order to develop new PCSK9 inhibitors and in the future, therapies capable to inhibit PCSK9 expression, processing, and interaction with LDLR (mAbs) could represent a real benefit for the treatment of hypercholesterolemia and associated cardiovascular diseases. This new line of therapy to hyperlipidemia is a boon, especially to the FH and statin resistant population whooping large amounts to the industry. With the growing need of these drugs as maintainace therapy for years and the tight regulations for biologic, these PCSK9 inhibitors are going to earn billions for years in the absence of generic competition. The report provides the in-depth analysis of the pipeline assets across the PCSK9 inhibitors. The Report gives insights on 25+ products with 7+ different technologies. 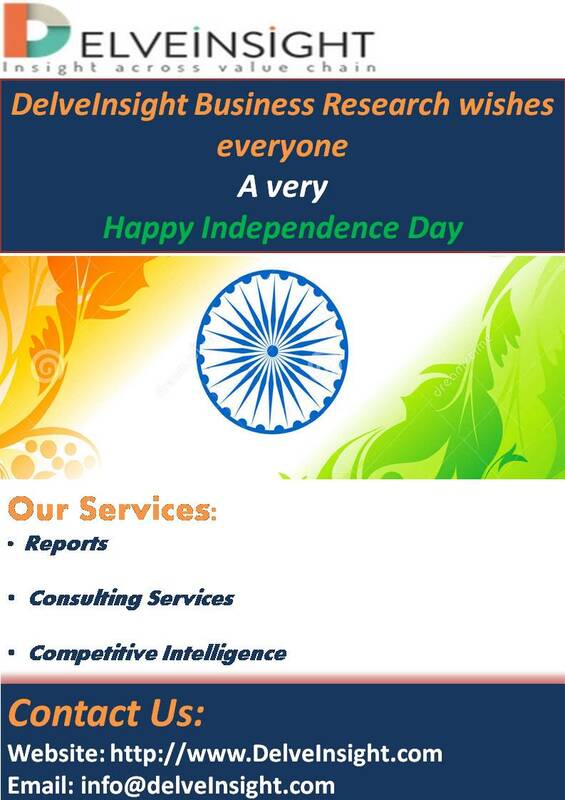 It also includes around 15+ companies which are active in this field. DelveInsight’s, Proprotein Convertase Subtilisin/Kexin Type 9 (PCSK9) Inhibitors – Pipeline Insights, 2015 Report covers PCSK9 inhibitors pipeline molecules at various stages of development like Pre-registration phase, clinical phases (Phase III, Phase II & Phase I), pre-clinical and discovery phases. The Report also provides PCSK9 inhibitors related therapeutic assessments by molecule type, route of administration, monotherapy and combination products. The Report also highlights the discontinued and inactive projects in pipeline for PCSK9 inhibitors. This entry was posted in Proprotein Convertase Subtilisin/Kexin Type 9 (PCSK9) Inhibitors and tagged Bococizumab (RN316), cardiovascular events, European Medicines Agency (EMA), HMG-CoA reductase, Kastelein, Low Density Lipoprotein, monoclonal antibody, proprotein convertase subtilisin/kexin type 9 (PCSK9), Regeneron, Sanofi, US Food and Drug Administration (FDA).